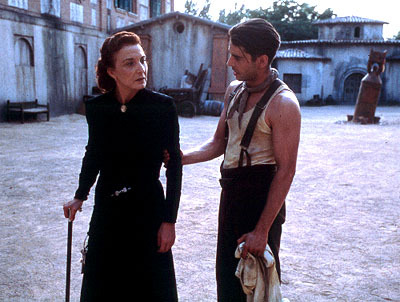 The Devil’s Backbone is an earlier “brother” to director Guillermo Del Toro’s Pan’s Labyrinth. Both films are set in Spain during or right after the end of Civil War, and both films feature a young child encountering the supernatural while very real (and deadly) adult conflicts rage around them. 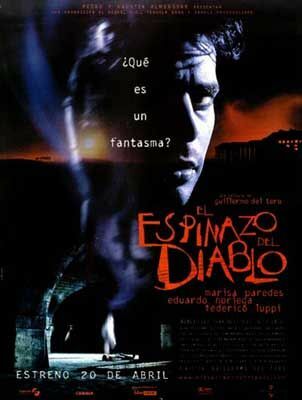 The Devil’s Backbone didn’t get the same attention on its release that Labyrinth did, but the film is as good, if lower budget and with less of a fantasy feel and more of a horror one. In both films, however, horror does not come from the supernatural or fantastic but from very real people. This film plays with the elements of ghost stories (a wronged person’s spirit is not at rest and seeks justice), but also functions very well as simply a tale of people caught on the losing side of a war. It does focus less on Carlos than Pan’s Labyrinth focused on its lead-here Carlos introduces us to the various people who live at the orphanage and their internal conflicts. The wild former student Jacinto (Eduardo Noriega) is desperate to leave the school at any cost. Carmen and Dr. Casares struggle to keep the school going in the face of the knowledge that their side is losing badly, and soon they (and by extension, their charges) will be in danger. There’s also the matter of their feelings between one another. Once Upon a Time in Franco’s Spain? 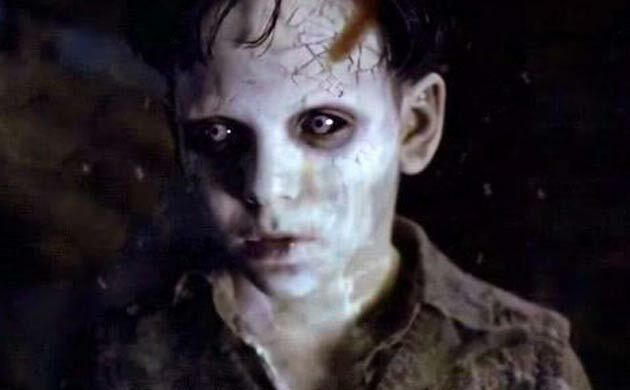 The Devil’s Backbone does not quite fit into the “horror” label, and is really more of a supernatural war and coming-of-age story. The cast is excellent, and the dusty, sunny school makes for an interesting setting for its events-a contrast from the usually damp, dark, foggy settings of films such as this (though, the school certainly feels ancient, and that well(?) in the basement loaded with slugs sure helps in the mood). Fans of Guillermo Del Toro and especially of his breakthrough film, Pan’s Labyrinth will be well rewarded if they seek out The Devil’s Backbone. There is a great deal of bloody death in the final act and Del Toro does not spare children or characters we’ve grown to love. It is not a happy modern fairy tale, but recalls the fairy tales of bygone ages that painted a less rosy picture of life. This entry was posted in "Foreign Film", Arthouse, Coming of Age, Drama, Fantasy, Full Reviews, Ghost, Period Film, Reviews, Thriller and tagged gold, Guillermo Del Toro, homage, kid ghost, Mexico, orphanage, Spain, Spanish Civil War. 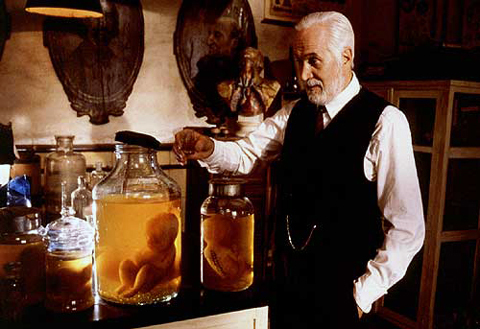 My understanding is that Pan’s Labyrinth is a sequel of sorts to this movie, at least in Del Toro’s mind. What I read was that it was less a sequel, and more the “Female” twin/companion to this film, but I suppose either way they are thematically linked.